We have the BEST patients! 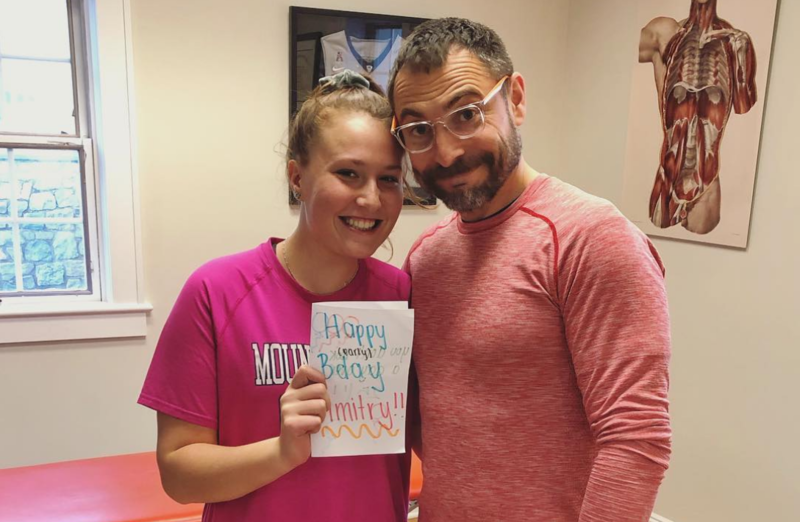 Even though Olivia is going through ACL rehabilitation, she still found time to wish Dimitry happy Birthday! Thanks for the early birthday surprise pistachios. She just gets me! 7 weeks post-ACL Reconstruction Surgery!